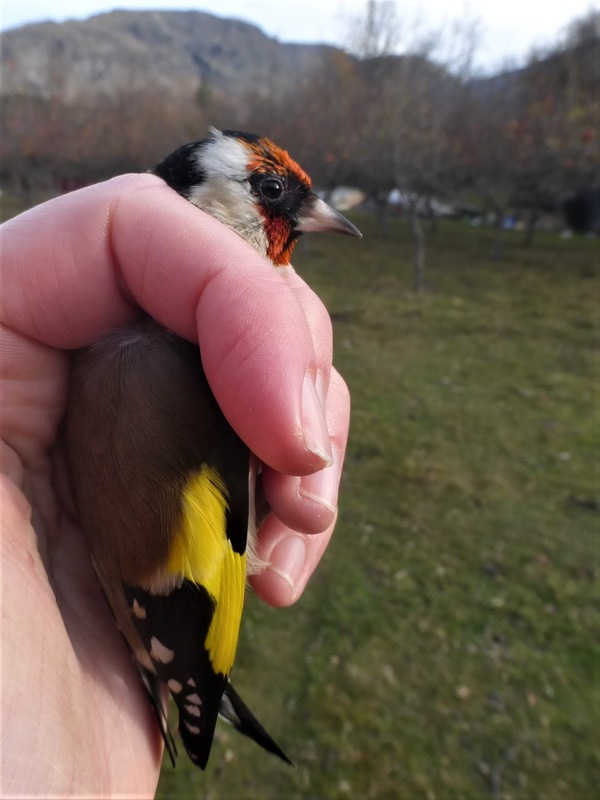 Rachel and I had a good morning's banding in Mark's apple orchard today. 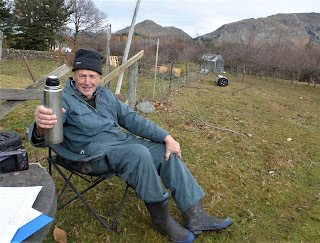 It will most likely be the last session there this year as we will both be attending the Birds NZ AGM in Te Anau this weekend and then I head back to Christchurch. As the apples are disappearing fast there probably wouldn't have been much more banding at any rate. Coffee on a rather cold morning? We managed to catch 46 birds of 7 species with 37 new and 9 recaps. Silvereye had increased in number and made up the bulk of the catch. 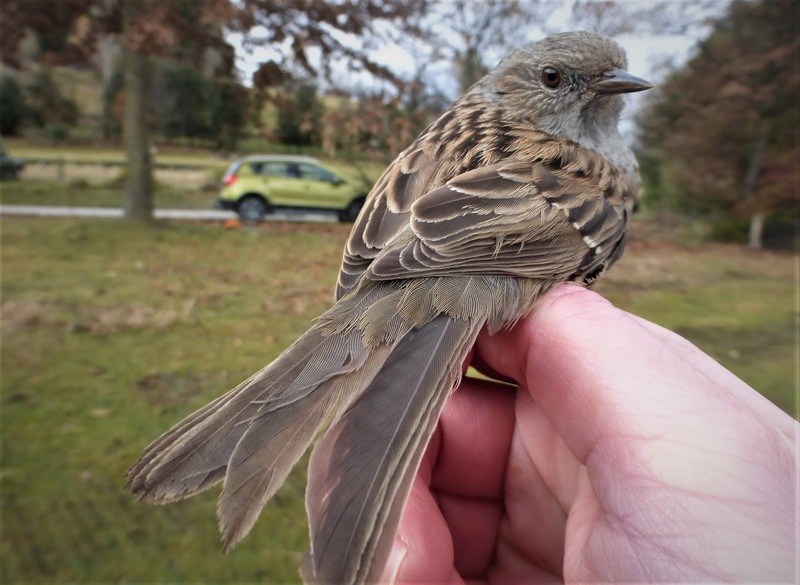 Dunnock - 2 (1) the recap was banded in Jan 2016 and is now at 502 days the oldest bird recatured for the species. House Sparrow - 1 (0) as the hens that used to be kept next to the orchard have gone Sparrow numbers have dropped significantly. 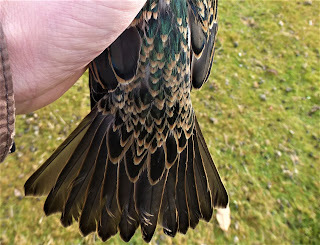 The Starlings were aged by the shape of the rump feathers, rounded for 1st year, pointed for older. This one is a young bird. Silvereye - 21 (7) 3 of the recaps had been banded last year. One of the older recaps. 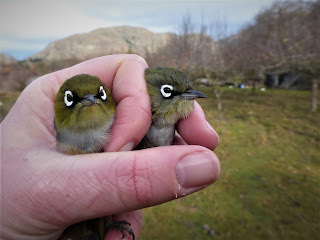 The bird on the right is a 1st year bird, the one on the left is older. All photos by Rachel Hufton, my camera packed a sad. 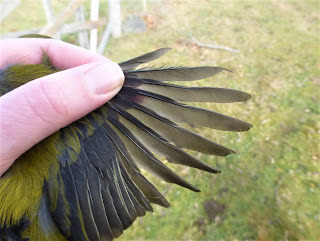 I have had two banding sessions since the last post. On Thursday I put nets up on the western side of the property and caught 24 birds of 6 species with 17 new and 7 recaptures. This morning, 28 May nets were up on the eastern side with 34 birds of 6 species caught, 23 new , 11 recaps. Silvereye - 15 (8) There appears to have been an increase in Silvereye numbers in the last few days. One of the Tui recaps, a male the other was female. 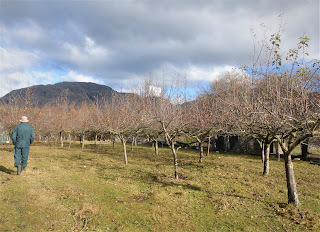 Rachel managed to get over the Crown Range so we had another session in the neighbours apple orchard. Catching was steady but not spectacular with a reasonable range of birds. 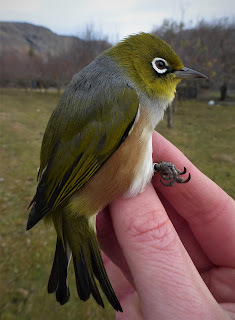 However bird numbers appeared to have declined over the last couple of weeks especially Silvereye numbers. I had expected for numbers to have increased after the snowfall of a few days ago but looks like I was wrong. The days total was 25 birds of 8 species with 20 new and 5 recaps. 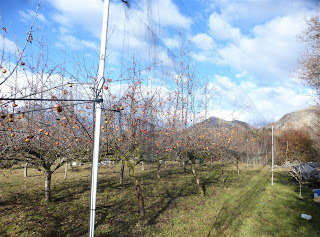 One of the nets between apple trees and shrubs. House Sparrow - 2 (2) one of the recaps was banded the same day as the Chaffinch that took the record for the oldest bird yesterday. So now this Sparrow s the new record holder at 615 days from banding. This is the first time it has been recaptured. Silvereye - 9 (1) Numbers per session has dropped from 31 to 15 and now down to 10. Tui - 2 (1) one of the new birds appeared to be a late fledged juvenie. Theb second Bellbird was aged as an adult (2+) by P9 shape and bright red eye. All photos except top Tui by Rachel Hufton. 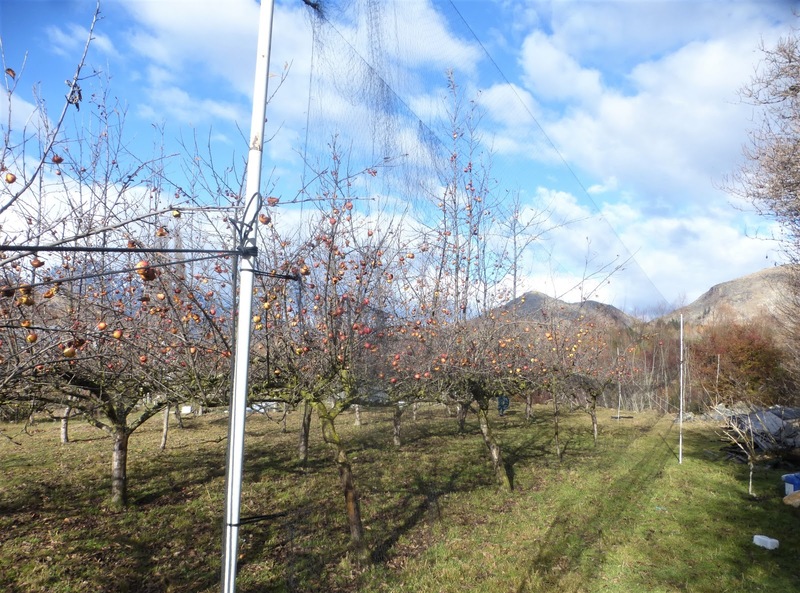 Have had nets up around the property over the last few days with mixed results. Caught 5 birds at the first attempt but this was not at a very successful site. A bit better yesterday with 20 caught and today the total was 30. Had very favourable conditions with high cloud and almost no wind. Blackbird - 5 (1) the recap is now the oldest for the species. Song Thrush - 1 (1) the recap was banded about a week after I started banding here and at 606 days is now the oldest of any species, beating the House Sparrow caught on Sunday by 4 days. Yellowhammer - 2 (0) caught together and probably a pair. The Tui recap was a very handsome dude. Had a banding session yesterday (Sunday 14th) at the neighbour's apple orchard. 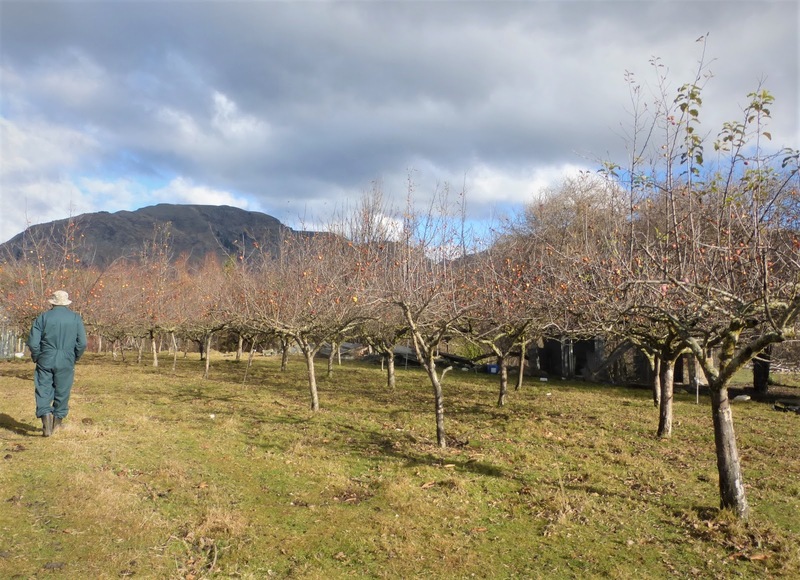 Mark the owner leaves the orchard with minimal pruning and no spraying. He then picks enough apples for his use and leaves the rest for "the birds". And the birds love him for it. I was joined by Rachel who drove over from Lake Hawea for the day in order to get experience to assist her in upgrading her banding permit. The day started later than planned as the ice and grit on the Crown Range, which Rachel has to traverse to get here, slowed her drive. Far better to have a slow and safe trip than not arrive. The next little hiccup was half a dozen sheep trying to go through rather than around a net. 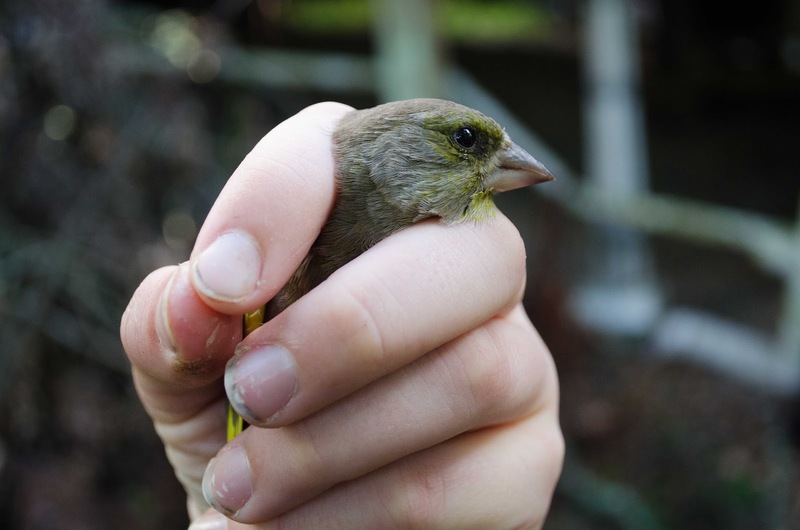 A net full of leaves and sticks but no major damage and the Bellbird that was in the net survived remarkable well. It was the first bird of the day. Rachel with the first bird of the day - a recap Bellbird that survived the rampage of the Ewes. The apple orchard is in the background. We ended the day with a respectable tally of 58 birds of 8 species with 47 new and 11 recaptures. Dunnock - 1 (10) the recap was banded Feb last year, caught in the same net. Rachel banding one of the Chaffinch. 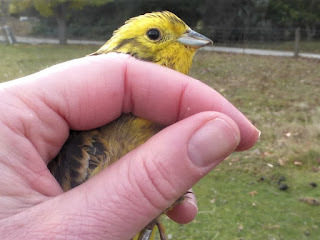 Yellowhammer - 1 (0) the first caught at this particular site. Silvereye - 29 (2) A surprisingly low recapture rate. House Sparrow - 4 (6) One of the recaps was banded 601 days ago and for a few minutes was the oldest of any species caught here and then the next bird had been banded the day before so at 602 days is now the record holder. 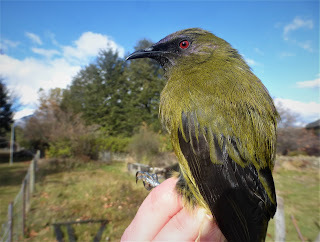 A Bellbird having his picture taken. If you follow this link hopefully you will get to the latest NZ Banding Office newsletter. It has a lot of interesting stuff on it and I think well worth a look. 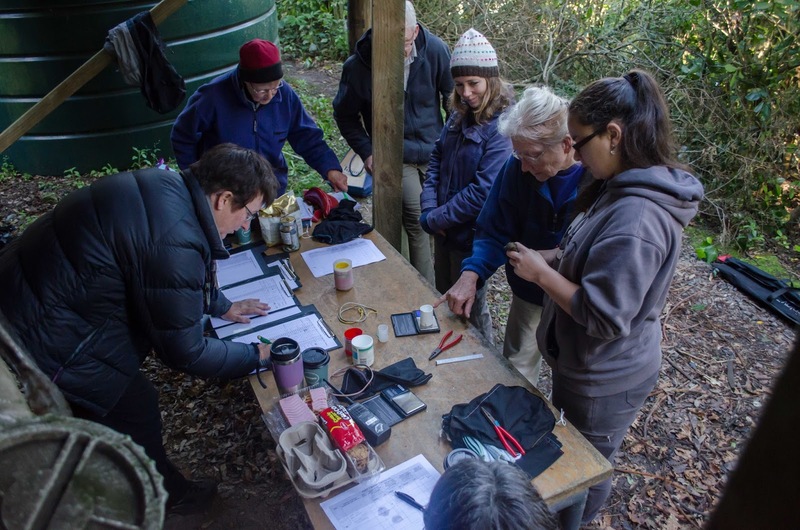 This post is from Annette who has spent the last few weeks on Rangatira in the Chatham Islands. Hopefully she will do a report on the Black Robins when she gets a spare hour or three. I have just spent a month on Rangatira, a Nature Reserve in the Chatham Islands. 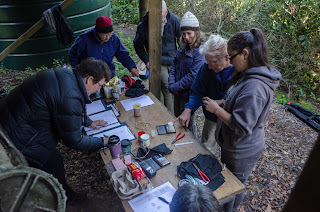 Our main task was to do a complete census of the Black Robins, and band this year’s juveniles. However equally important, though less time-consuming, was to band the Chatham Petrel chicks. 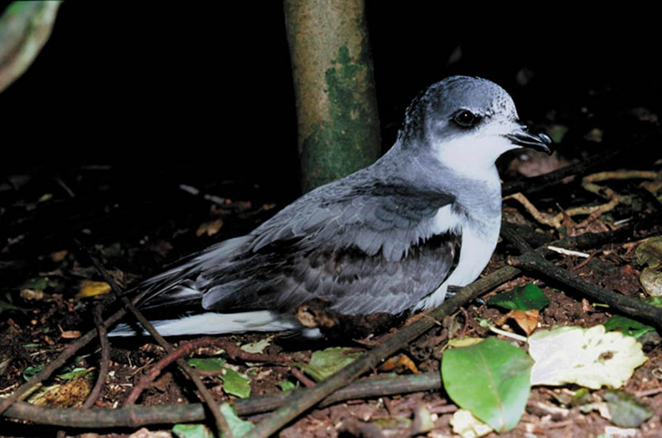 The Chatham petrel (Pterodroma axillaris) is one of New Zealand’s most endangered seabirds. They are an oceanic, burrow-nesting species that come ashore only to breed, and arrive at and depart from the colony during the night. 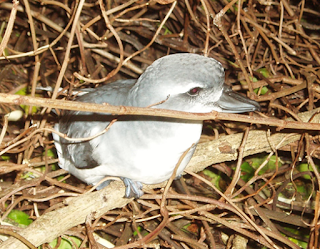 Once one of the more abundant burrowing seabirds on the Chatham Islands, the loss of forest habitat on Chatham and Pitt islands, along with the introduction of mammalian predators such as cats, rats and pigs, lead to them being confined to predator-free Rangatira Island by around 1900. 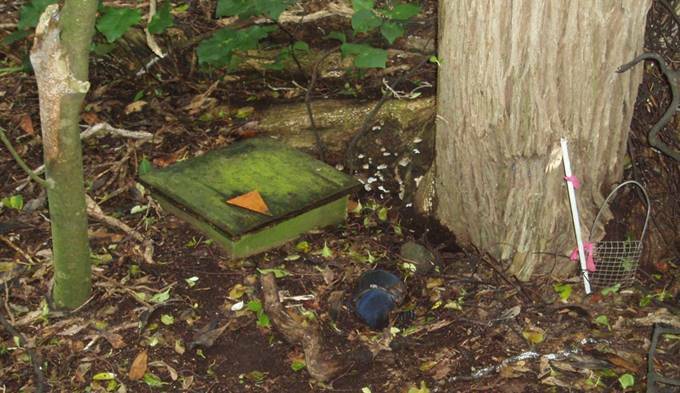 Here their burrows are scattered thinly amongst millions of other seabird burrows in fragile mature forest habitat. By the 1980s only 30 breeding pairs were known and it was discovered that competition for burrows from broad-billed prions was causing most Chatham petrel breeding efforts to fail. 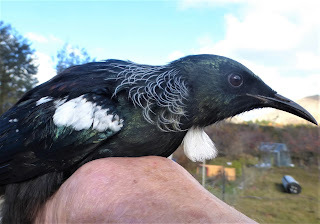 Hundreds of thousands of broad-billed prions breed on Rangatira and they are prospecting for burrows at the time that Chatham petrels are raising their chicks. Intensive management by the Department of Conservation has improved breeding success from 30% of known breeding attempts producing fledglings, to 70–80% from 2000 onwards. Artificial burrows have been installed for all known breeding pairs and neoprene flaps are fitted over the burrow entrances. The site-faithful petrels have the incentive to push through the flaps during the breeding season, but they deter most prions from entering. The burrows are completely blocked off over winter when the petrels are away to ensure that broad-billed prions do not take over the burrow in their absence. Artificial nest box showing blue neoprene burrow flap and metal ‘blockade’. Successful breeding Chatham petrels stay together in long-term partnerships and pairs use the same burrow each season. Adults return in late spring to prepare nests. Established pairings often synchronise their arrival to within a few days. A single white egg is laid in December and chicks fledge in May–June. After mating, the pair spends about 1 month at sea while the large egg forms and the male conditions himself for the first incubation shift. The male then waits in the burrow for his mate to return and lay. They alternate incubation duty until the egg hatches 46 days later. Commonly, there are four shifts, with the female present at hatching. Parents brood the chick for 1−2 days, then leave it unattended, returning every few nights to deliver food. They feed mainly on squid and fish collected from within a few metres of the sea surface. Chicks are fed by regurgitation, and receive large volumes of semi-digested food and energy-rich ‘stomach’ oil which is stored in their crop and slowly digested over many days. 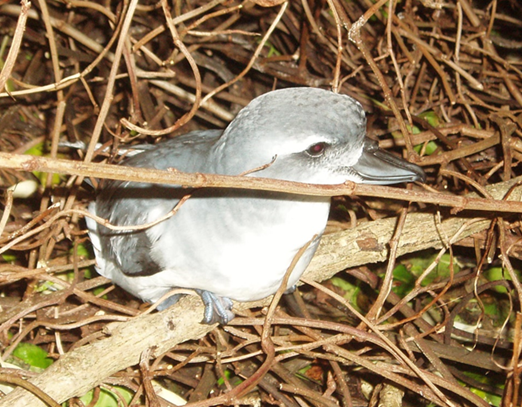 During the breeding season Chatham petrels feed up to 3,000 km south-east of the Chatham Islands. They over-winter off the coasts of Peru and Chile. 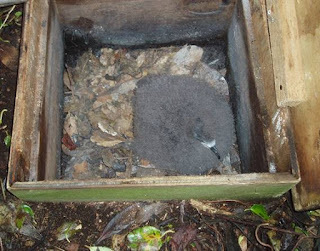 Chatham Petrel chick, about 6 weeks old, in nest box. Chicks emerge from burrows for around 10 nights from mid-April, to exercise and find suitable take-off trees. Parents commence migration while chicks are fledging from late April to June. The population is now estimated to be about 1,000 birds with 100-130 breeding pairs being actively managed. 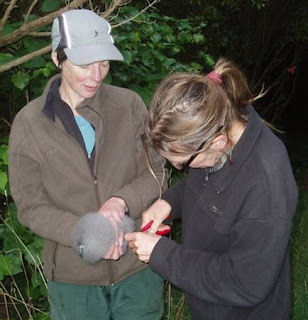 In the hope of establishing small breeding colonies on Pitt and Chatham Islands, chicks collected late in the breeding season have been translocated to predator-fenced sites on Pitt and Chatham Islands where they have been fed until their departure to sea. Birds do not breed until they are about 4 years old, and do not breed every year. On Rangatira this season 217 burrows were monitored. 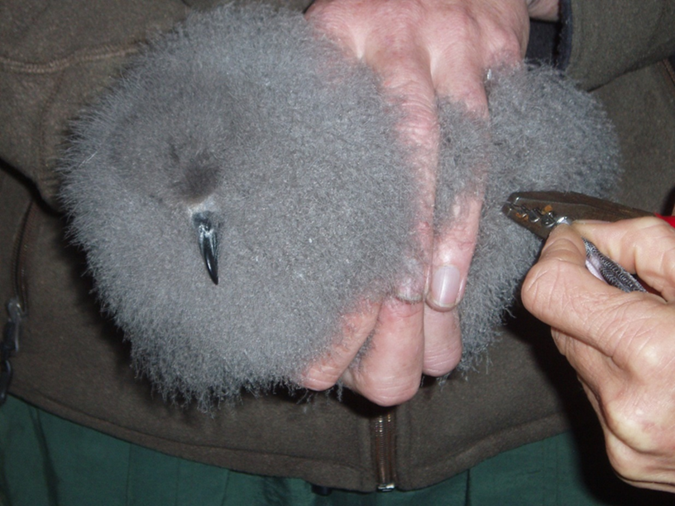 145 were occupied by breeding pairs and about 115 chicks were banded and are likely to fledge.